Posted March 20th, 2019 by Media Heroes. Bike theft is common, and it has an untold effect on many people. The fact is, most people love their bikes. Whether it’s a weekend warrior, a comfortable commuter, or a robust road bike, bikes are a big part of our lives. Some people rely on them to get to work; others rely on them to get away from work. So losing your bike to theft can be devastating. 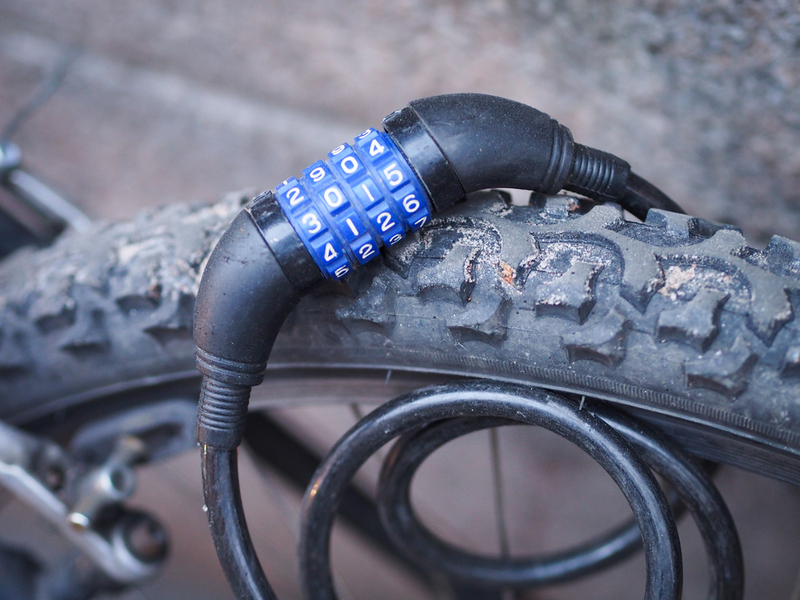 But rather than let the thieves win, there are some things you can do to protect your bike. Here are our top seven tips. Bike locks are the front line of bicycle security. But, believe it or not, sometimes they’re not enough. Thieves know that if they’re going to take a bike, they’ll probably have to bypass a lock. Disappointingly, they come prepared. The easiest locks for them to bypass are cable locks. So we recommend tough U-locks, or heavy-duty chain. Even if they get through it, it’ll make their lives a fair bit harder. You could probably guess that leaving your bike in an isolated area isn’t the best way to avoid theft. Surely, a bustling area full of people is ideal. Well, strangely, not always. Sometimes, thieves thrive in busy crowds. The more people there are, the less likely it seems that one will notice a quiet bike thief. That’s the best place to leave your bike is one where a thief will be conspicuous, but also likely to be seen. It’s a balancing act, really. Locking your bike by the wheels or frame isn’t really ideal. If you lock it by the wheels, the thief can simply remove the wheel and take the frame. If you lock it by the frame, the thief can remove the wheel and take that. Our advice: use two chains or U-locks to lock both the wheels and the frame. Better still, use one U-lock and one chain. That will require the thief to bring two different tools, which makes theft less likely still. If you’re unlucky enough to be caught out by an unscrupulous bike thief, the next step is investigation. To make that easier, you’re going to want your bike to be pretty easily identified. We recommend giving it some unique markings that a thief is unlikely to see, but that really distinguish your bike from the rest. Indoors is where you bike is safety. So if you’ve got the space in your home, we suggest storing your bicycle there for the best security. However, if a garage is the best you can manage, we still recommend locking your bike. Garages are often the first target for thieves. You could be forgiven for thinking that balconies are a safe place for your bike. But, believe it or not, thieves are known to steal bikes from balconies. Despite the obvious risk of injury that comes with hauling a bike down a balcony by hand, thieves seem insistent on getting their prize. So if you’re bicycle is on the balcony, think about locking it for better security. Finally, don’t give thieves the routine they thrive on. If your bike is stored in the same place every day, we suggest breaking that routine to improve bicycle security. If thieves don’t know where your bike will be from one day to the next, they’re less like to target it. For all your bike needs, get in touch with Hoffy Cycles today on (07) 3269 1213.